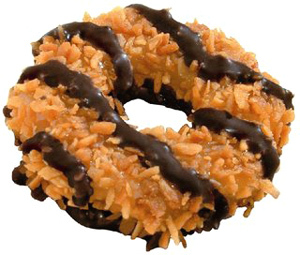 In a brazen daylight cookiejacking attempt, a Maryland man and his underage accomplice tried to steal a “wagon full of Girl Scout Cookies” from two little girls, cops allege. According to Anne Arundel police, the Girl Scouts (aged 12 and 13) were selling the cookies Saturday afternoon from a street corner when they briefly stepped away from their wagon. That is when Gabriel Taylor Smith, 18, allegedly took off down the street towards a getaway car. 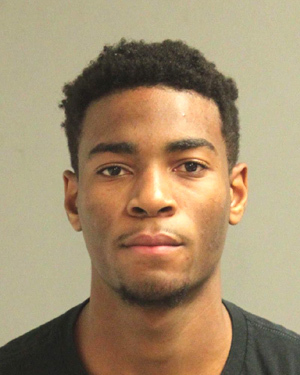 One of the girls then gave chase and “grabbed the wagon that contained the cookies.” Smith, cops reported, then “let go of the wagon and then jumped into the suspect vehicle being driven” by his 17-year-old cohort, whose name was not released by police. “The girls yelled out that the suspect was taking their cookies,” and neighbors responded by getting in their vehicle and following the getaway car (while simultaneously calling 911). The car was subsequently located at a gas station in Odenton, the community where the two suspects reside. The Girl Scouts later fingered Smith (seen above) and his associate in the attempted cookie heist. Both were charged with misdemeanor theft since the cookies were valued at less than $1000.